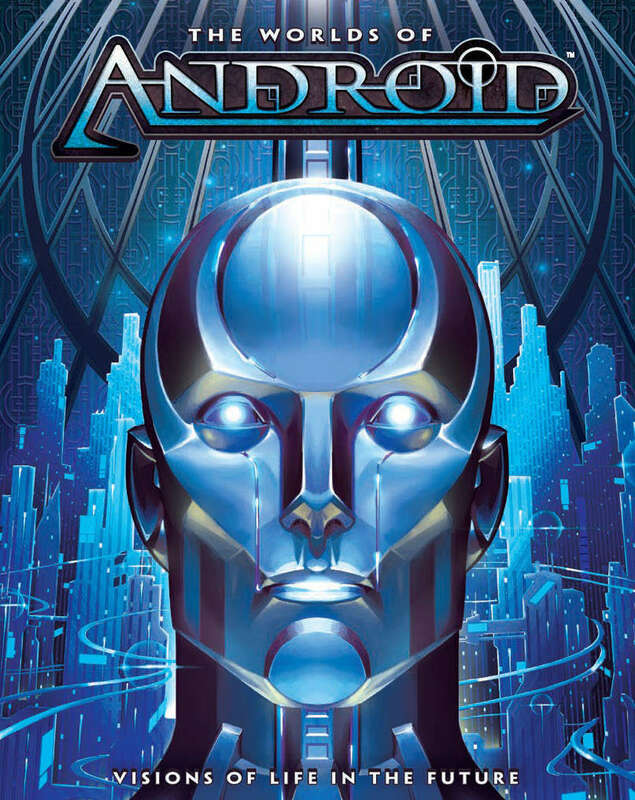 The Worlds of Android is your definitive guide to Android setting and its unique vision of the future. A beautiful, 272-page setting guide and art book, The Worlds of Android features full-color art, stunning gatefolds, and a polyphony of narrative voices that convey the immense diversity of human experience in the rich, fictional universe made famous by Android: Netrunner and the Android board game. Note: This setting guide and art book contains no game rules or system specific information. I'm enjoying it, but there's not a single original idea in the entire book. It's a "best of" compilation cribbed from stuff like Blade Runner, Neuromancer, Foundation, I Robot, etc. Well written, engaging, with great art. I mean, they are certainly not reinventing the wheel here (and their endless description of how the Net works for the everyday user is tedious, the one true downside to the book -- 90% of the descriptions we already have/do today in 2019) but as a sourcebook for a cyberpunk/semi-transhuman campaign, it's really decent.